Fraudsters are targeting small businesses at a rapidly increasing rate. Register today and learn about the different types of fraud and how using LexisNexis® Risk Solutions data and analytics tools can help you identify fraud activity. It’s important to look at both the owner and the business - by linking individuals to businesses, you can combat fraud before it wreaks havoc on your operations. 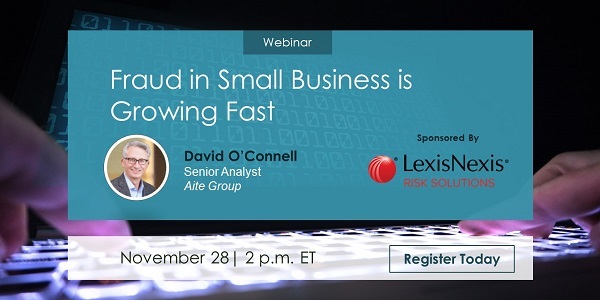 Join Aite Group senior analyst David O'Connell and LexisNexis director of market planning James Bozik as they discuss the growth of fraud in small businesses.